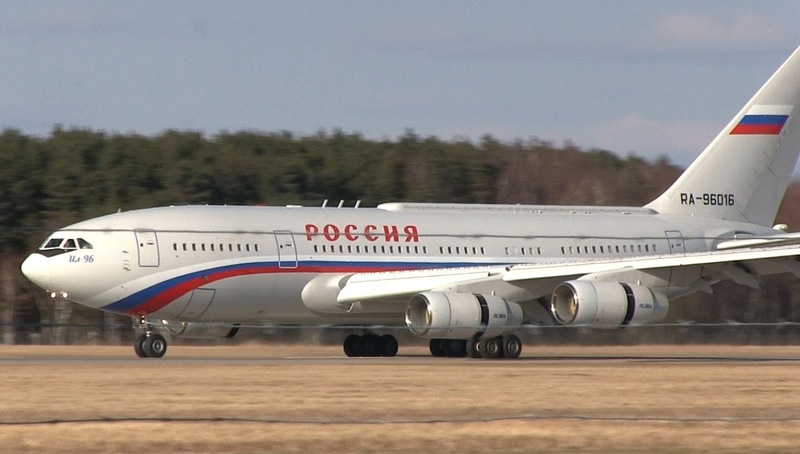 HyperBlog (by Rishabh Singla): Does Rossiya's Ilyushin Il-96-300PU presidential plane realize that it shoulders the entire world's safety and future each time it flies with Vladimir Putin? Does Rossiya's Ilyushin Il-96-300PU presidential plane realize that it shoulders the entire world's safety and future each time it flies with Vladimir Putin? Realized this while watching this nice video. Mankind really has all of its eggs in one basket. The Rossiya Ilyushin Il-96-300PU aircraft really carries the one man who is single-handedly saving this planet from getting enslaved by the American monster. So much weight on the shoulders of the Ilyushin airliner. So much responsibility. We, the rest of the world, don't realize the gravity of each of Putin's flights. Out fate, our future, our safety, all depend on the safety and well-being of Vladimir Putin. America would chew us all alive if not for Putin. He is the one indestructible, impregnable adamantium wall that's standing between the insatiable greed and lust of America, and the rest of us.